Beelieve You Can! : What Will I Ask God For Today? What Will I Ask God For Today? 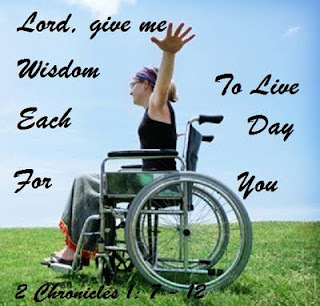 As I prepare this week for my testimony at church concerning this week’s National Invisible Chronic Illness Week, I started a Bible reading plan on wisdom. My reasoning for reading about wisdom this week was to ask the Lord to give me wisdom to know what to say this coming Sunday at church. As I began reading today’s verses the Holy Spirit spoke to me – I need to ask for wisdom every day, not just when I “think” I need wisdom. I realize that so many of my prayers are focused on healing. When one lives with a chronic illness it seems that all of our daily life is engulfed in how we feel that day or even from moment to moment. Today the Holy Spirit reminded me that I need to pray for wisdom on how to live with my chronic illnesses and still be a useful vessel for God. God He knows I desire healing and one day whether it is here on earth or in heaven, I will be healed. For now, God desires me to look beyond myself, my pain and use His wisdom to be able to live each day to its fullest for Him. 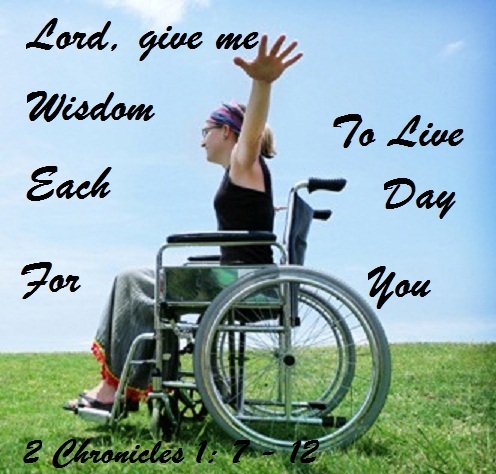 God knows my physical limitations and He will give me wisdom to know how He desires me to live for Him each day. Dear Lord, help us to realize that You have a purpose for each of us – whether we are healthy or not, we can still serve You as You provide Your wisdom to discern how and when. In Jesus precious name, amen. + Nearly 1 in 2 Americans live with a chronic condition? + 96% of illness is invisible? + 75% of marriages end in divorce when illness is present? + 79% of suicides have uncontrollable physical pain as a factor? My illness is invisible. But the pain is real. Informed. Little things DO make a difference. Awe inspiring post. And I enjoyed reading your profile bio too. Thanks for stopping by this week to say hello. Desert Shadows and Week's Summary is my day's post link if you'd care to join me. This has really hit at my heart today. 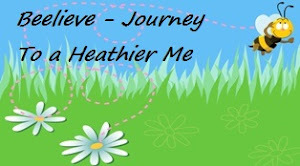 I suffer with Chronic pain , thyroid problems asthma my list feels like it's endless. While I pray for Gods will in my healing I have forgotten to ask for wisdom. Thank you for this.